UnlockIt: The Power of Strengths Use focuses on teaching you how to effectively recognize and apply your strengths in ways that will lead to optimal performance within your personal and professional life. Learn more. Xerox is a diverse multi-generational work environment that makes us a strong company. Perceptions about these different generations shape how we manage, lead and work together. Join us for this virtual panel discussion with dynamic Xerox young professionals to hear their perspective on the workplace, technology and success. For more information and webinar visit the Woman’s Alliance website or contact Michael Serghany. It’s time to Assess, Balance and Challenge ourselves at the BWLC 2018 Virtual Summit! A Kaleidoscope is defined as a succession of changing phases or actions. Our theme for the BWLC virtual summit this year focuses on women challenging themselves by envisioning their future and career by moving beyond traditional boundaries; looking through a Kaleidoscope Lens. We are going back to basics by challenging women to Know Their ABCs. Public speaking can be scary! However, it doesn’t have to be the case. 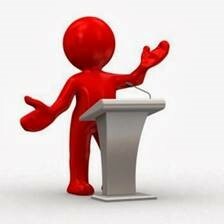 Knowing how to prepare for your next speaking engagement is key to improving one’s public speaking skills. This webinar will teach you what hinders us in speaking in front of people and how to overcome this fear. You will learn how to communicate better with your audience so that you can effectively convey your message. by attending the TWA Conference! If you have any questions, please email: thewomensalliance@xerox.com. · Ever wonder how you can work more comfortably and productively? Ergonomics is the thoughtful design and positioning of objects we use so that our interactions are efficient and safe. This webinar will cover a basic ergonomic training so you can feel your best at work every day! Do you have suggestions, feedback and/or concerns that you want voiced to Xerox leadership?? Join us for lunch and an open discussion with YP NeXus leaders! 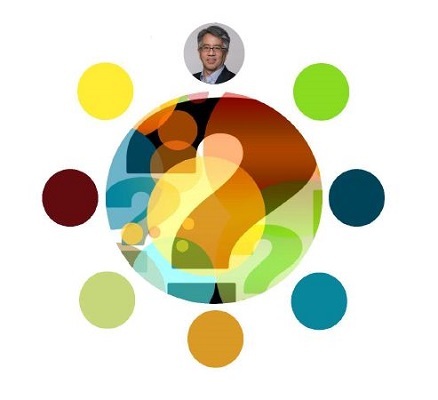 YP NeXus leaders Alissa Santucci and Kate Black will have the opportunity to voice your questions and concerns to Xerox CEO John V at the TWA conference in October. Join us for this roundtable, where all YP NeXus member input will be noted and relayed directly to John V and other Xerox senior leaders. Please RSVP here so we have an accurate headcount for lunch. We tend to put ‘innovation’ on a pedestal – something that only product geniuses or people with power can bestow on an organization. Instead innovation should be viewed as something that can come from anywhere within an organization. This talk, presented by Ben Haefele and David Adkin of Innovate Everything, will cover actionable steps that teams can take to improve their feedback process, brainstorming sessions, and how to embrace a Kaizen mindset to become more innovative. Rochester - Joint Caucus Networking Event! 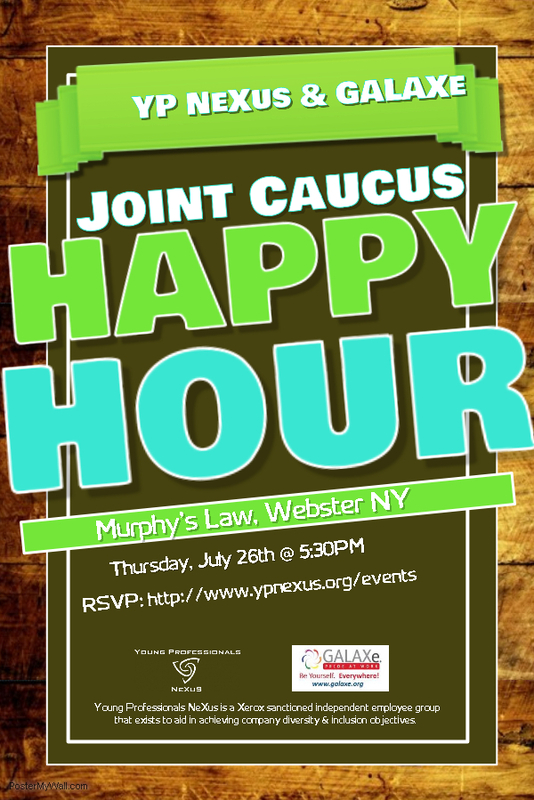 YP NeXus and GALAXe will be joining together to network at Murphy's Law for our July social event. Please join us - even if you are not a YP Member and/or not apart of GALAXe! A social hour at Sunset Grille in Norwalk as we have summer birthdays to celebrate! Hope to see you there 😊! Join YP NeXus for a roundtable with Lawrence Lee, VP of Incubation and Strategy for Xerox's Research & Development organization. Lee is responsible for the incubation of new products and services from ideation to commercialization. He also leads technology strategy to ensure that Xerox is investin in the right set of technologies, intellectual property, and partnerships to deliver the existing product portfolio as well as capture new business opportunties. Please RSVP here only if you plan to attend this event in person.